Did you know millions of Findmypast's Irish and British records are always free to view? One of our main priorities at Findmypast is to make family history as accessible as possible. With that goal in mind, we've made some of our most essential resources free to access. You don't need a subscription to view these records and they're free all the time, not just during special free access promotions. Roughly when were they born? If you're living in Ireland, the chances are your ancestors were either based there too or in Britain. To help you start making connections, here are the highlights of our free Irish and British record collections. Irish Census Records - The fully surviving 1901 and 1911 censuses of Ireland, as well as surviving fragments from the 19th century are free to access on Findmypast. These are some of the most important sources for tracing your Irish ancestors and are perfect for making a start on discovering your Irish heritage. The 1901 and 1911 census transcripts contain a link to view the original images on the National Archives of Ireland website. Catholic Parish Registers - Over 10 million records covering the entire island, this collection has proved to be a real game-changer in Irish family history since they came online in 2016. Many of the records date back into the 1700s, helping you getting back further and break down long-standing brick walls in your Irish research. These essential resources will be free forever on Findmypast. Ireland Valuation Office Books - Search over 1 million records of land owners and renters between 1824 and 1856. This collection is used as a census substitute for 19th century Ireland and can help you pinpoint your relatives to a specific location in Ireland. 1881 England, Wales & Scotland Census - Over 29 million records covering all of mainland UK, you can use the 1881 census to trace your Victorian ancestors and discover their age, address, occupation and more. The transcripts are completely free to view and contain the most important information but you'll need a subscription to view the original image which could feature extra details. The Scottish records in this collection are transcript-only. England, Scotland and Wales Billion Graves Cemetery Indexes - These 3 record sets currently hold over 770,000 records combined and are updated regularly with more. If your ancestor was buried in Britain, these records could be key to finding out more about them. Most include birth and death dates and a link to the image of their GPS-tagged headstone on the BillionGraves website. 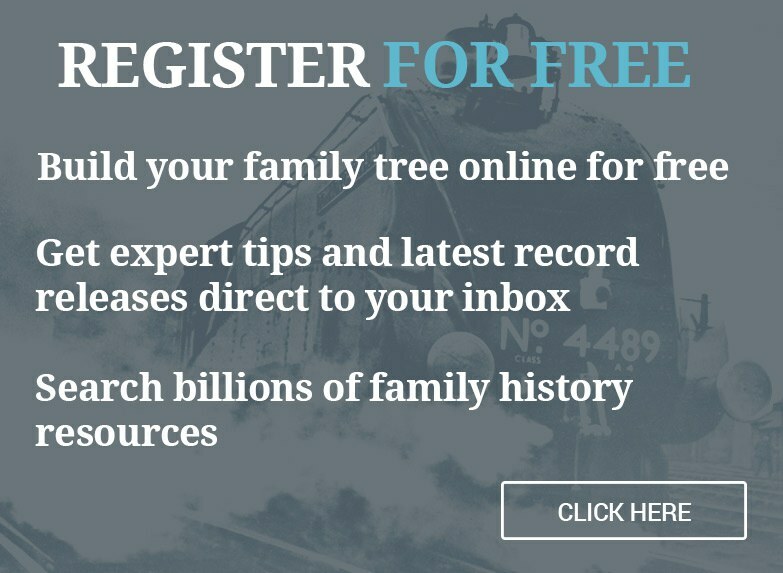 Devon and Oxfordshire Will Indexes - With over 388,000 combined records, these two resources are useful if you've got family who died in either of these English counties. They'll reveal their name, occupation, residence and more. The Devon records are transcript-only, while only the transcripts are free to view in the Oxfordshire wills.